What Are the Spiritual Exercises of St. Ignatius? 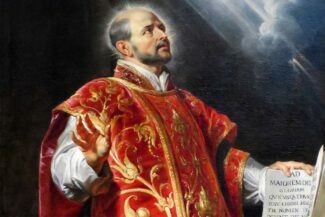 The Spiritual Exercises of St. Ignatius are the methods of prayer and ways of relating to God that Ignatius of Loyola developed in the years after his conversion to Christ. Ignatius realized God loves us and wants to deal personally with each of us. One way to let God be God in our lives is to pull back from the hustle of daily life and go on retreat. The full Exercises usually entail 30 days of silent retreat divided into four “weeks” (roughly seven days). Each day, the retreatant spends four or five hours in prayer and attends daily Eucharist. Daily, she or he will meet with a Director of the Exercises, one trained to guide and coach a person through the experience. The second week is filled with the gentler and more pleasant work of contemplating Jesus in the Gospels. One is urged to creatively and imaginatively “see” oneself as part of the biblical scene, and ponder what insights and spiritual energies one notices in one’s heart and mind as a result of gazing so closely and lovingly on Jesus and the people depicted in the Gospels. Charting desolations and consolations is a skill one begins to learn in this week. Such charting helps us choose, in freedom and truth, how we are to follow Jesus. The third week is a virtual reliving of the passion and death of Christ as one spends hours and days being imaginatively present to the final days and hours of Jesus’ earthly life. The fourth week is a joyful entering into the astonishing reality of the risen Christ in one’s life by contemplating the experiences of the first disciples. Interspersed throughout the month of the Exercises are key Ignatian meditations that help one contemplate Christ’s mission, follow the way of Christ, consider God’s will for our lives, and determine how best to use our gifts. The Spiritual Exercises are both a means of attaining self-knowledge and ordering one’s life and a deep and transformative school of prayer. Highly adaptable, there are eight-day versions of the Exercises and a nine-month to one-year version (the retreat in daily life). Directors are trained to adapt and sculpt the Exercises to the needs and concerns of the individual. The ultimate aim of the Spiritual Exercises is to foster a creative and burning love for Jesus and his mission that ushers forth in service works of justice, truth, peace, and love for all humankind. Such service roots us in the transcendent realities of God the Father, the Holy Spirit, and the mystical body of Christ, i.e., the Church. The Exercises help us discern and choose how to serve and love. One caution: Don’t just pick up a copy of the Spiritual Exercises and start reading. The written Exercises are much more like a recipe book than a “how to” manual. The Exercises are to be “made” not simply read. Highly personal, they are rooted in the communal reality of the Church and relationships in one’s life. A director can help the person making the exercises notice and relish these relational realities. For more information, talk with your parish priest or spiritual director. 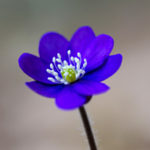 PrayerQuestions of Faithspiritual directionWhat are the Spiritual Exercises of St Ignatius?